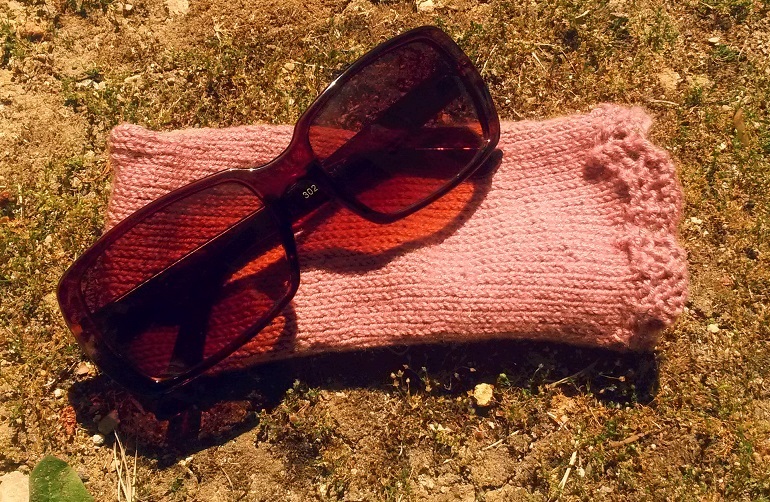 First of all, I have finished a quick knit – a case for my sunglasses. My notes in this post. I aslo am woring on preparing the pattern for Riviea Skies top. Taking me way too long – the motive is tricky to explain in abbreviations. I had a few go’s trying to chart it, in several ways, but it didn’t work. Two nights ago I finally found a solution – photo tutorial step by step, so I was making a motive and taking pictures. Almost done with that. The rest should theoretically be easy – I can’t wait to share it with you. Cute sunglasses case and love the colours in the Riviera Waves top. 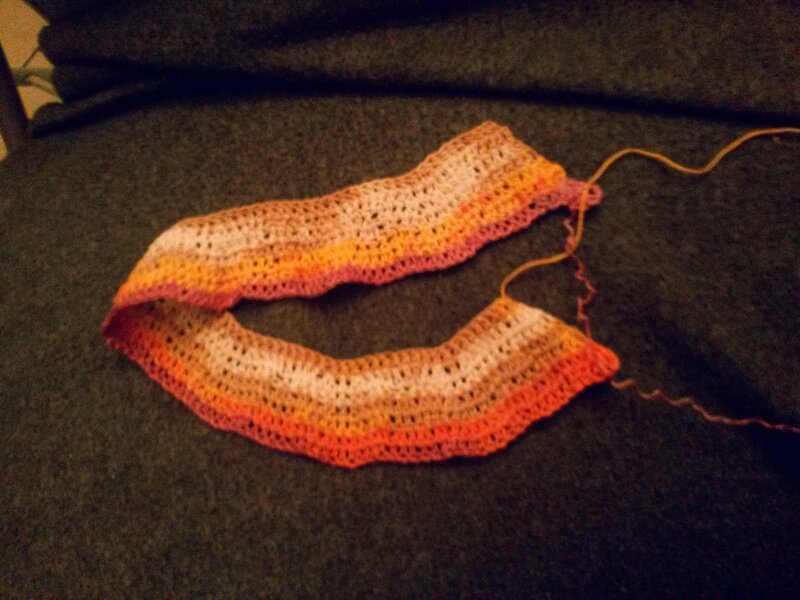 Thank you :) that self-striping yarn is amazing. Riviera Waves is gorgeous, I’m sorry you had to rip back, but at least it will fit nicely this way.